The uphill loom. Yes, it seems I was due for a round of challenges. First, most sadly, an allergic reaction to two lovely yarns. They both had Angora (bunny, I'm so sorry) and I had hives all over my face and neck. I was able to finish the second project with the help of a very strong cortisone ointment, and by being careful to wash my hands as soon as I stopped looming. No more soft, pretty Angora yarns for me! 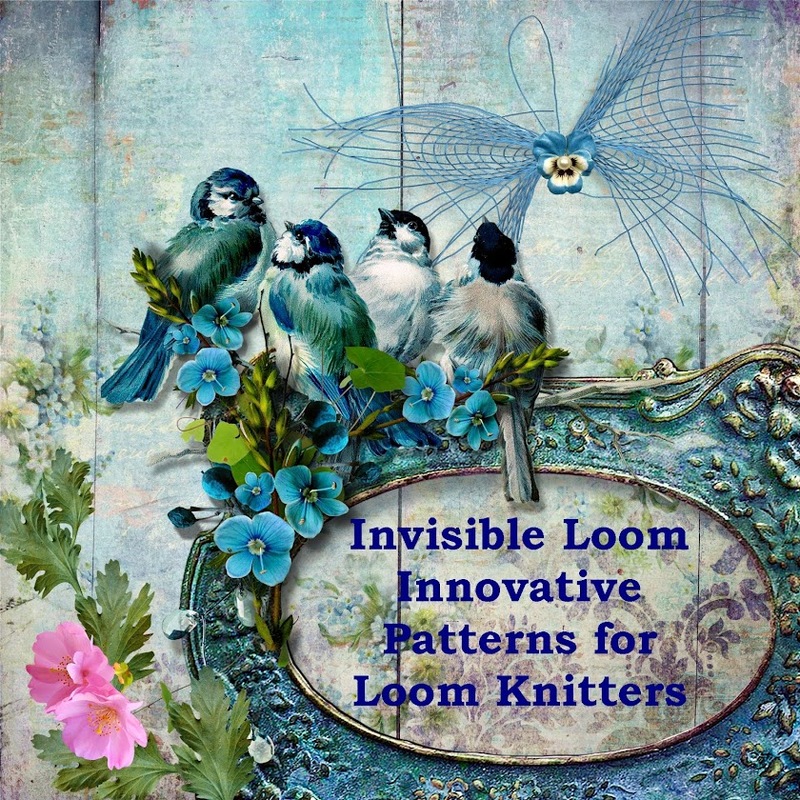 My second challenge is in the photo above, a new pattern I'm working out for a pretty V shaped shawl. I used a nice chunky wool called "Garden Party", all shades of pink and green stripes. While most of the shawl is beautifully stripped, the left side has a large pink pool. Blocking has helped some, because the pink pool is distributed over the shoulder, and less obvious when worn. The pattern is coming together nicely, and the next version will be loomed in a solid color, lighter weight yarn. I hope your looms are being more cooperative than mine! Oh, I'm so sorry to hear about the Angora... I had a bad allergic reaction to Lamb's Pride last year and it really scared me. Maybe it'll be something you eventually end up being able to tolerate, but it's probably best to keep it out of your hands for now. I love the colours of the yarn in that project!